Standing at the entrance of the library of the Mafra palace, it is easy to believe that the world is orderly. In the pristine silence of this space designed by architect Manuel Caetano de Sousa, we have everything we need to understand the world of the 18th century. There are science and mathematics books in the shelves near the entrance, so we can learn the laws of the physical world. Further ahead, there are bookshelves with travel diaries that tell us about lands near and far. Dictionaries and grammars teach us the rhythms and intonations of foreign languages. If we use them to master Greek and Latin, we can enjoy the classics of antiquity, tales of love and war, stories about gods and humans. Walking the 88 meters of marble floors that take us to the end of the library, we reach the shelfs devoted to the mysteries of the soul. The palace of Mafra and its library were built with the riches from Brazil. But the money ran out and the gold decorations that had been planned for the library were never executed. It is just as well, because the white Nordic-pine shelves give this library an elegant simplicity that looks modern. It was here that José Saramago, a Nobel laureate, found inspiration for his famous novel about the construction of the Mafra Palace as seen through the eyes of two young lovers, Baltasar and Blimunda. If you’re traveling in Portugal, don’t miss the chance to experience the resplendent tranquility of the Mafra library. And don’t forget to take a notebook, in case the muses that inspired Saramago whisper in your ear. A glass of Jampal wine? André Manz, a Brazilian soccer player turned entrepreneur, was searching for a place to build offices on the outskirts of Lisbon. He liked a small village near Mafra called Cheleiros. There, he bought the Orchard of the Holy Spirit (Pomar do Espírito Santo), named for its proximity to the Holy Spirit chapel. His wife Margarida fell in love with the orchard and convinced André to use it to build their home and locate the offices elsewhere. When they moved to Cheleiros, an elderly lady called Dona Celeste told André that in the old days everybody in the village made their own wine. There were 43 wine presses in a village with only 800 people. André said that it would be cool to produce wine and Dona Celeste seized the opportunity to sell him her abandoned vineyard. When enologists came to study the old vines, they concluded that the red grapes were “castelão” but they couldn’t identify the white grapes. André told Dona Celeste about their difficulties and she replied “Young people don’t know anything! Those grapes are jampal.” This is a grape varietal that was considered extinct. It produces small grapes so, in years gone by when quantity trumped quality, farmers replaced it with higher-yielding varietals. The wine institute sent technicians to certify that the grapes are indeed jampal and André became the world’s sole producer of jampal wine. In the first few years, André bottled the wine in plain bottles. He gave a few to his friends and consumed the rest in his household. On the occasion of an important lunch, André decided to put some labels on the wine. He called it Dona Fátima, the name of his mother in law. When the bottles arrived at the table, Dona Fátima was delighted. “Why did you name the wine after me?” she asked André with curiosity. “Because of its acidity,” quipped André. When Julia Harding and Jancis Robinson were working on their book, The World of Grapes, they contacted André to see if they could get a bottle of jampal wine. They liked it so much that they included it in their selection of the 50 best Portuguese wines. Since then, it has become very hard to buy one of the 6,000 bottles of Dona Fátima produced every year. If you see one in a wine store make sure you get it. If not, drive to the village of Cheleiros, to try one of the world’s most unique wines. Click here for Manzwine’s web site. The Mafra Convent, Rui Barreiros Duarte, ink on paper, December 2016. 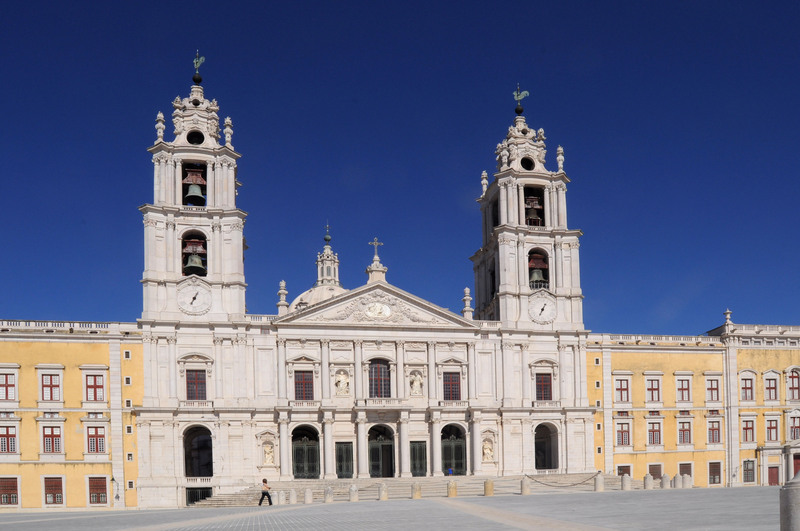 In 1711, king Dom João V vowed that if he was blessed with a son, he would construct a convent in Mafra. When a son was born in 1714, Dom João V spared no expense to fulfil his promise. By one count, the building has 880 rooms and 4,500 doors and windows. The convent includes a magnificent palace for the royal family and a basilica made of the purest marble, with intricate altars lavishly decorated with gold leaf. To top it all, the king commissioned a 200-ton carillon. According to legend, when the craftsmen quoted the price of the carillon, they remarked that the cost seemed too dear for a small country like Portugal. Offended, the king replied: “I didn’t realize the bells were so cheap! I would like two sets.” And so, two sets were made. Nicholas Levach made 57 bells for the North tower in Liége. Willem Witlockx made 49 bells for the South tower in Antwerp. The convent has many other bells: liturgical bells used in religious ceremonies, lecture bells that signaled the beginning and end of study periods, agony bells that rang when a monk was dying, refectory bells that reminded monks of their meal times, and the codfish bell that sounded in days when people should abstain from eating meat. The carillon and some of the other bells were used to mark the passage of time with minuets and other compositions. In a world where musical sounds were rare, the bells of Mafra filled the village with harmony and grace. Every morning King D. João V looked in the mirror and told his reflection: you’re magnificent! There was only one cloud in his life: he did not have an heir to the throne. So, he promised that, if Queen D. Maria Ana got pregnant, he would build a magnificent monastery. 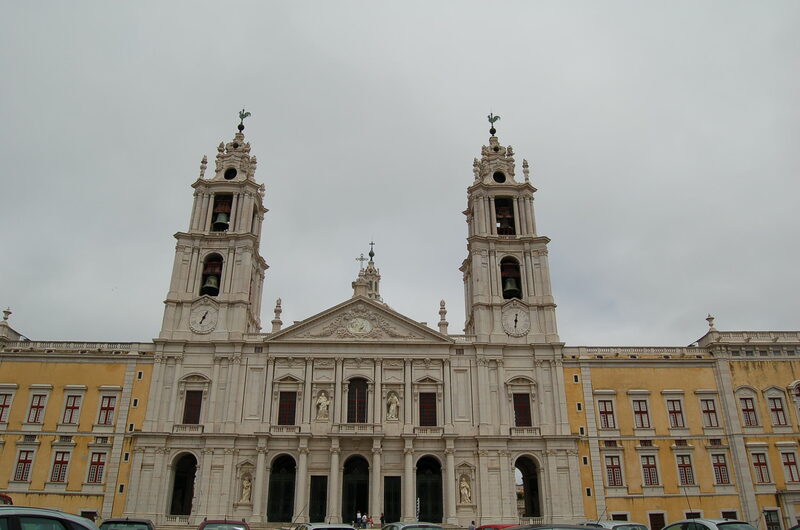 That is, according to legend, how the Mafra Palace came to be built. Financed with gold from Brazil, it features sumptuous accommodations for the king and queen, a magnificent Basilica with six pipe organs, and an enormous library. This library has been preserved by a colony of bats that prey on the insects that would otherwise devour the book pages. It is well worth it to visit this 18th century palace built by a vain Portuguese king for an austere Austrian queen, guarded by Franciscan monks and their learned bats.